An historically significant town in the heart of Weddin Shire, Grenfell is steeped in history with much of its old world character and charm maintained. 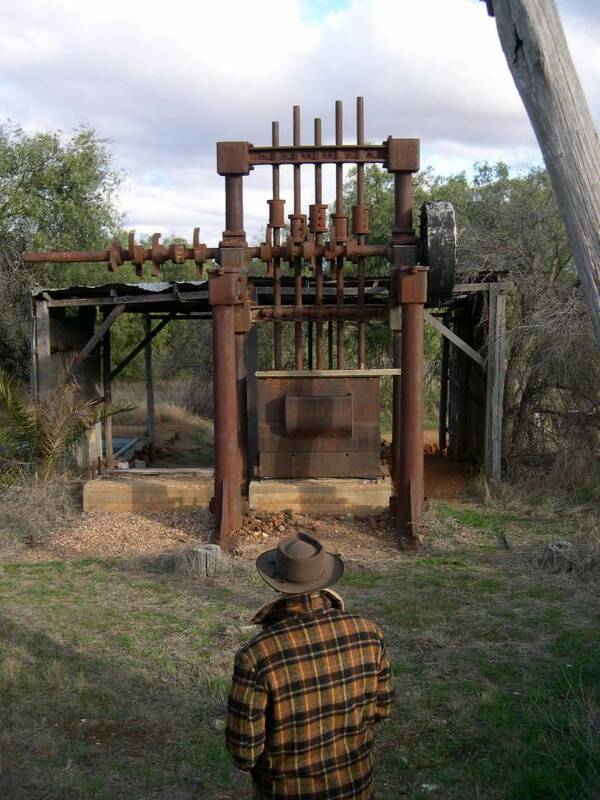 The old stamper at O'Brien's Mine is part of the old mining relics still present on the Grenfell goldfields. 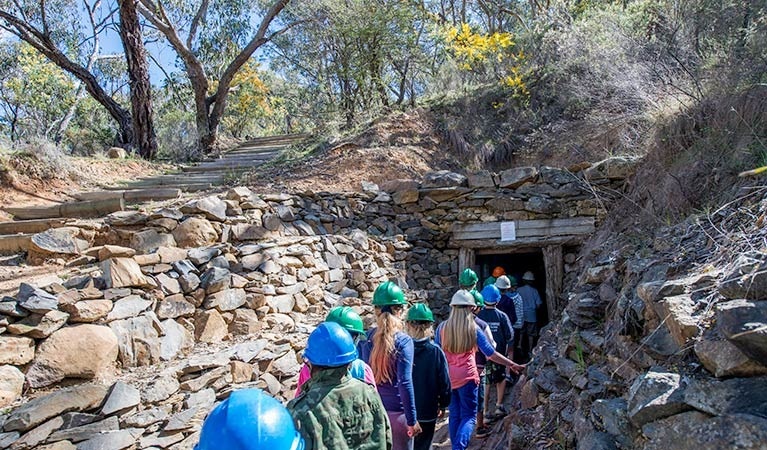 With origins steeped in pioneer history and gold, and the preserved ruins of the gold diggings maintained and open to exploration – Adelong makes a wonderful base to explore nearby gold ruins, wineries, lakes, rivers, mountains, caves, forests and snowfields. Visit Orange to discover a welcoming city, rich in local history, a flourishing cultural scene, fruitful landscapes, historical buildings, art and culture to surprise you and some of the best food and wine in Australia. Duntryleague (circa 1876) is one of Orange's magnificent colonial buildings, now the headquarters of a golf course. 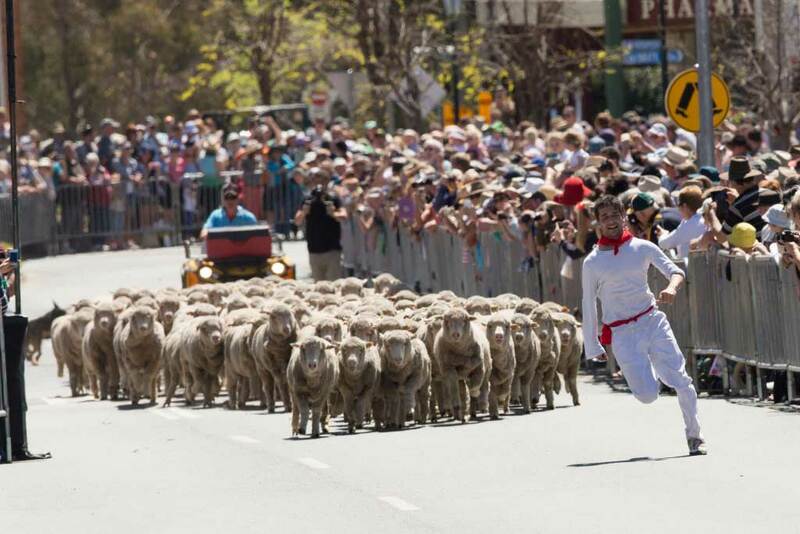 Experience Boorowa's rich gold heritage celebrated in the town's attractions and festivals. 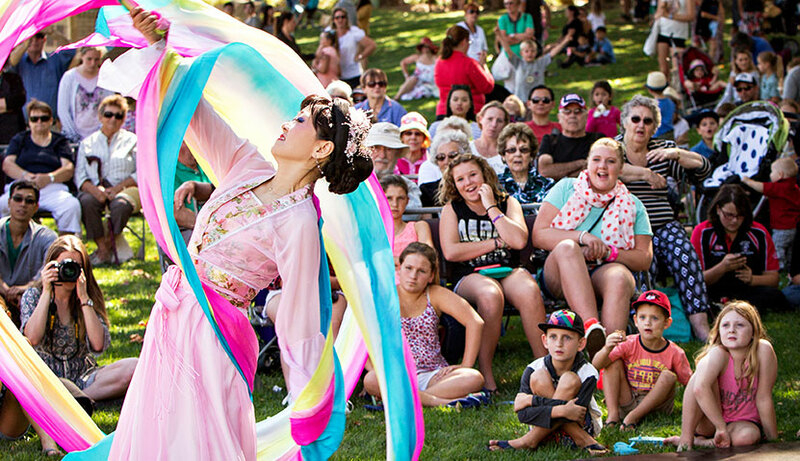 Visit Young to experience rich colonial heritage attractions, an exciting food & wine scene and vibrant festivals. Wander down West Wyalong’s main street - "the crooked mile- that had to wind its way around many claims and shanties. 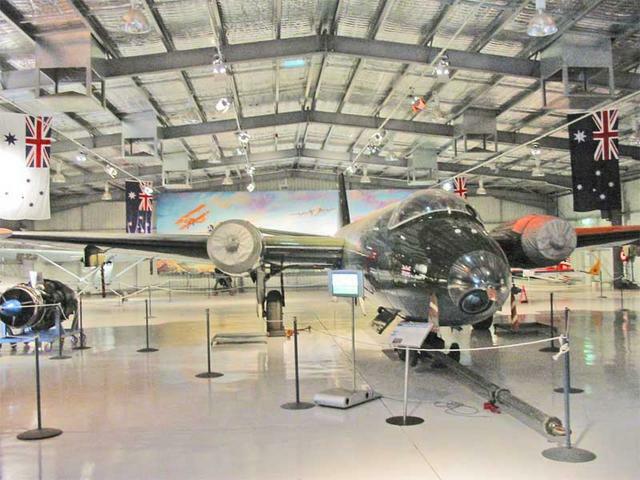 Discover a wealth of gold trails heritage in Bathurst and the surrounding towns and villages including historic Hill End and the nearby Bald Hill Tourist Mine. Tumut shire is celebrated for its natural environment where rivers flow and mountains rise. Adelong, a town with a great gold story, is one of the smaller towns in Tumut shire and is the heritage gateway to the Snowy Mountains. 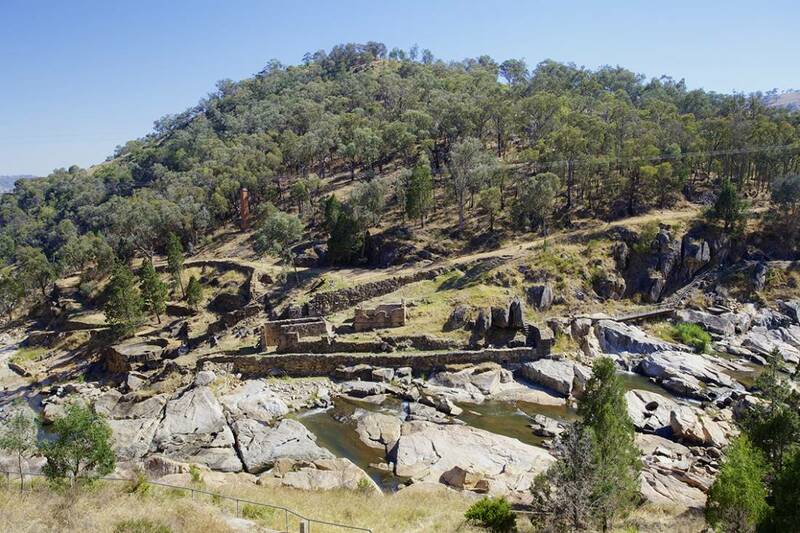 The heritage listed Adelong Falls Gold Mill Ruins located 2kms from Adelong is a must see destination on the Gold Trails. 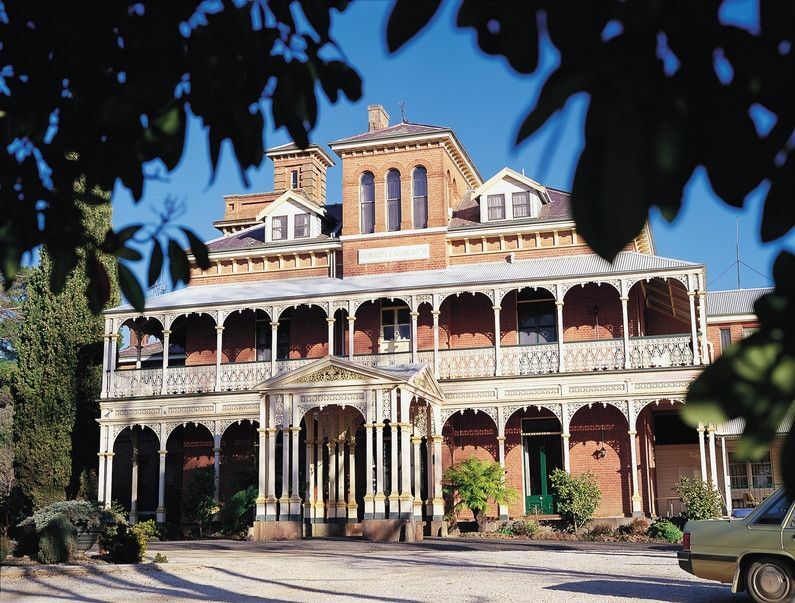 The Gold Trails of NSW offer the visitor many wonderful Places to Go. 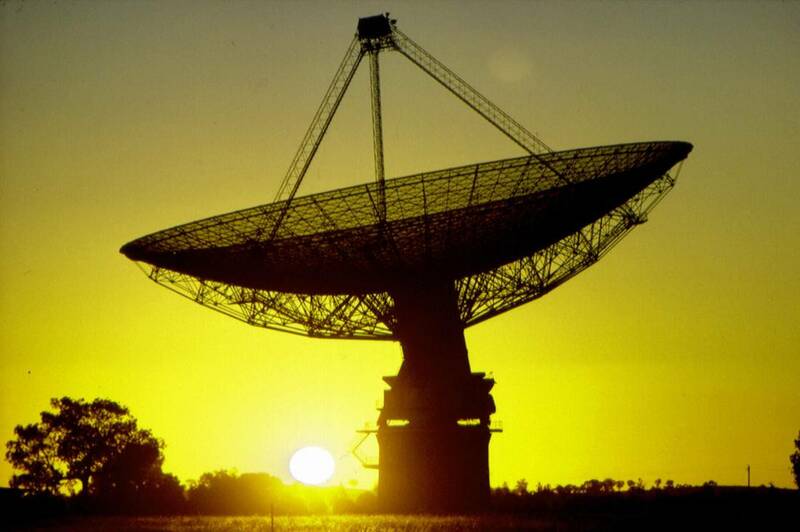 Our towns and villages stretch more than 300 kilometres across Central and South West NSW. Each is distinctive in character, heritage and experiences- we recommend you pick several places to go on your visit. Explore the Illustrative Map for an introduction to our Places to Go, the amazing gold heritage Attractions you will see on your journey, the Driving Times for key places to go and our recommended Gold Trails touring itineraries. An aboriginal word meaning “big” or “deep water”. Many water holes along Binda Creek exist and were used by the Gandangara people whose tribal lands stretched from Binda towards Taralga, Mittagong and Oberon. You never heard tell of the story? Well, now, I can hardly believe! Never heard of the honour and glory Of Pardon, the son of Reprieve? But maybe you’re only a Johnnie And don’t know a horse from a hoe? Bungonia is also the gateway to the Bungonia State Conservation Area famous for its beautiful views, bushwalks, rock climbing, abseiling and canyoning. Constructed over more than 20 years, the Burrinjuck Dam remains one of the world’s largest irrigation dams, an engineering feat that provides water to the Murrumbidgee Irrigation Area for crops, river flows and town supplies. Caragabal is a small village to the west of Grenfell. The drive from Caragabal to Grenfell provides great views of the Weddin Mountains. Galong may be slightly off the main road network but it is a must-see for passers-by. 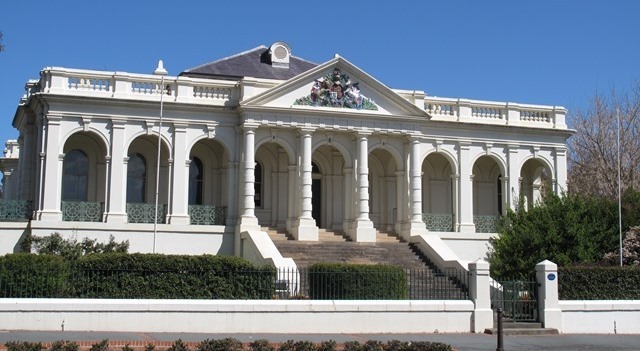 Situated two hours south of Sydney, Goulburn is a thriving city rich in colonial and gold heritage with a vast number of historic buildings. Greenethorpe is home to the exceptionally significant Iandra Castle and Station. Greenethorpe village was purpose-built in 1908 to house the share-farmers who worked at Iandra. A stunning example of living history with today’s lifestyles sensitively blended with a lovingly preserved past, the heritage listed 19th century village of Gundaroo is a unique modern community. Harden and Murrumburrah have a delightful old-world feel. The Shire has a rich gold rush history including many encounters with Bushrangers including the shooting of Sargent Parry in the Shire village of Jugiong. The fame of the tiny settlement of Koorawatha lies in the remnants of old buildings and the cairn marking the site of a notable gun battle between bushrangers and the police at the Bang Bang Hotel. 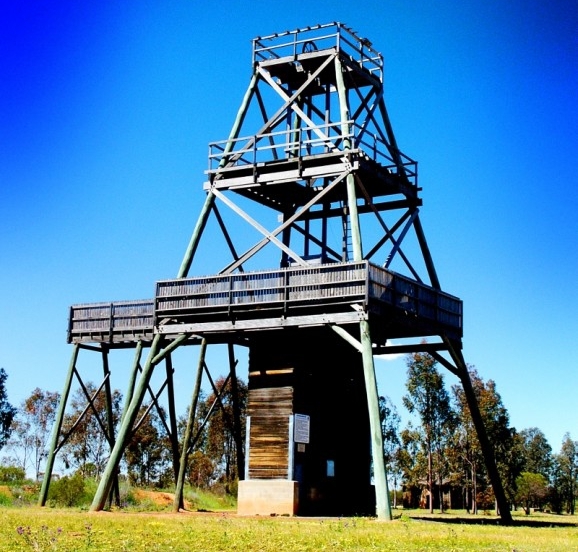 The Carrington Gold and Silver Mine was located on the road to Marulan, north of Goulburn. Follow the heritage walking tour of Molong in Country NSW to see the many fine 19th-century buildings. Wander through craft shops or art galleries and visit nearby historic villages. Quandialla is a small farming village near the foot of the Weddin Mountains. Quandialla is a great place for a meal with the Bland Hotel a popular watering hole. Stockinbingal is a small village of approximately 250 Residence, situated on the Burley Griffin Way, 410 Kilometres South of Sydney. The village was first surveyed in 1853 and when gold was discovered 30 years later, the population soared. For many years Tarago was a staging post and railhead for the southern line. Today the village boasts a number of historical buildings, particularly the Loaded Dog Hotel. A major stockade for chain-bound convicts was located on the north side of the Highway at Towrang. Nestled in the Snowy Mountains foothills with the beautiful Tumut River flowing along the edge of the town, picturesque Tumut offers quiet walks, kayaking, trout fishing and the laid back ambience that only the gurgle of flowing water can create. Wallendbeen is a small village within the Cootamundra Shire. Thought to be named after tiny green gemstones found by an early Scots resident which he called ‘Wee Jaspers’ this is a natural wonderland made 400 million years ago for exploring, camping, picnicking, bird-watching and outdoors enjoyment. Find great things to do on the Gold Trails!